In 1948 Emperor Haile Selassie I granted 500 acres of land at Shashemene (150 miles south of Addis Ababa) to the Black peoples of the West for their support against Mussolini. 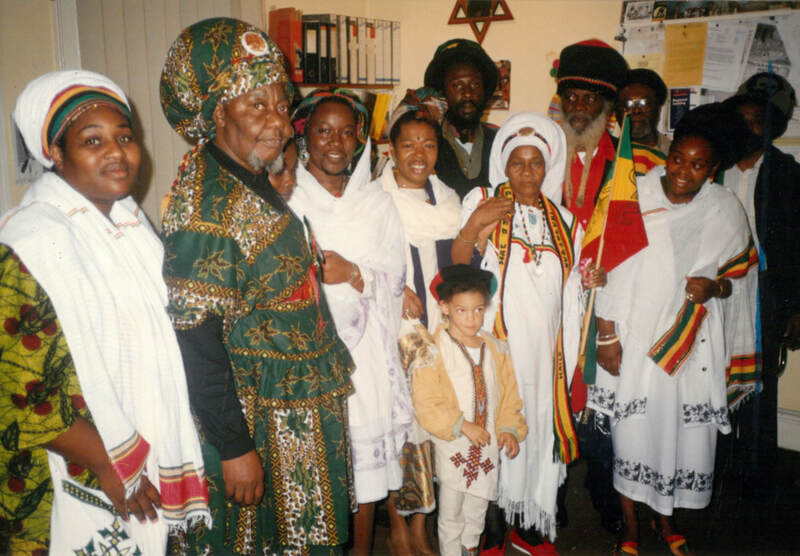 Shashemene has since become a central node of the Rastafari movement, being the only specific site on the African continent officially made available for repatriation. Because Rastafari claim that Babylon (the West) is falling, Shashemene remains a sacred point of return for the movement. Many community members will testify to the trails and tribulations that have visited repatriates over the years, including the nationalisation of the land during the Derg years that followed Haile Selassie I's rule. Yet the community has managed to tenaciously and positively occupy the land grant. ​Over the years there has developed an especially close link between Shashemene and Britain. For instance, the Rastafari movement in Britain were heavily involved in the centenary commemoration of Emperor Haile Selassie I's birth in 1992, both raising funds for the erection of a new tabernacle at Shashemene and making the "trod" (spiritual journey) to Ethiopia that year. For Rastafari, the repatriation project, with Shashemene at the centre, speaks to a future that triangulates the Caribbean, the UK and Africa in a victorious reversal of history. Present-day Rastafari take succour in the words of Emperor Haile Selassie I, upon returning triumphant to Addis Ababa on 5th May 1941, five years to the day after leaving for exile in Britain - there to struggle against a seemingly undefeatable fascist foe. Despite the overwhelming odds of time and circumstance, David will still conquer Goliath.